Kenwood food mixers are some of the best on the market, and we're proud to carry a wide range of them at Currys. Every Kenwood food mixer is crafted with a commitment to quality, and it shows in its sleek and attractive design, its durable and virtually maintenance-free workings. Kenwood’s designs are award-winning, having received the Red Dot Award, Plus X Award, and iF Award for design, ease of use and overall product quality. One of the things Kenwood prides itself on is its versatility. A Kenwood food mixer is no one-trick pony, but a real kitchen workhorse. Our range comes in a variety of sizes from 3-litres to 4.6-litres to feed the entire family and more. Our selection of Kenwood food mixers also boasts an array of colours, including silver, classic white, and gorgeous pastel blues, pinks and greens. 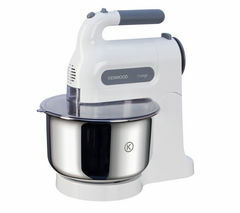 Kenwood food mixers make a wide variety of food preparation tasks a breeze. Most of the products in our range come with various attachments, and the higher end models even come with a food processor attachment so you can rely on your handy machine to do all the tedious slicing, chopping and grating. They say a chef is only as good as his or her tools, so these mixers will make sure your abilities get the chance to shine. If you can’t find exactly what you’re looking for in our Kenwood line, do not despair! 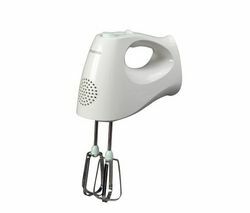 Look through our extensive collection of high quality, stylish food mixers including Morphy Richards, Smeg, Swan hand mixers and stand mixers, and KitchenAid stand mixers. No matter what you need (or how little space you have to fill with it), we have the perfect mixer for you.